Bluewater was launched when life-long boater and sailor Chris Hall, Sr. took part ownership in a boat dealership in Virginia Beach, Virginia. Over time, he began offering sales, service and support to all of the boating communities he was actively involved with near his Portsmouth home – sailing, cruising, fishing and even hydroplane racing. In the early seventies, Chris Hall bought three separate waterfront facilities on the Hampton River and developed them into a single service and sales yard. 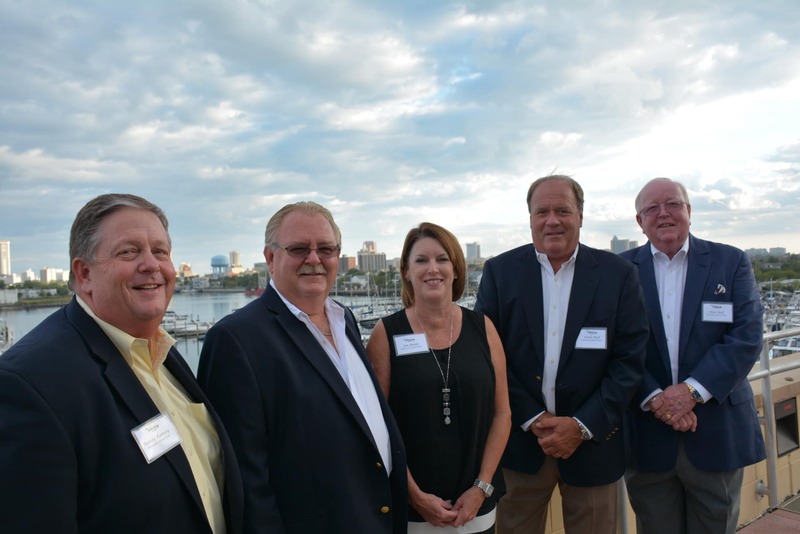 Calling it Bluewater Yachting Center, he began catering to the community of sailors and racers based at Hampton Yacht Club as a one-stop shop – a place that could not only sell you a boat, but service it in every way. Next, Bluewater acquired a four acre boatyard on Sunset Creek, where they dealt and serviced many new boat lines and started performing warranty work for Viking Yachts. Earle Hall started helping his brother Chris with many aspects of the business and developed a close friendship and professional relationship with Viking President Pat Healey. By 1985, the company was selling, not just servicing new Viking yachts, and the Hall and Healey families set out to help the company become the dominant force they are today. Meanwhile downeast, an ambitious young charter captain, Randy Ramsey, and a team of friends were building their first plank-on-frame custom sportfish boat. They employed techniques learned from legendary Outer Banks craftsman Omie Tillet and other master builders to design and construct the 52′ Sensation. Long before they ever knew it, they had given birth to a wildly successful boat building and servicing company, Jarrett Bay Boatworks. In 1991, Bluewater opened up their first sales office in Annapolis, Maryland and in 1995, a location in Pirates Cove, North Carolina. 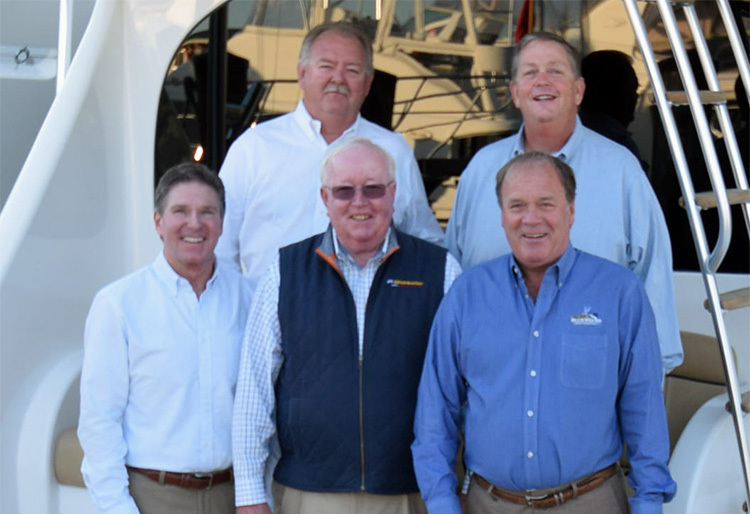 By the end of the decade, Chris Hall offered partnerships to his two most trusted friends and team members: his brother Earle, who heads up service, and Jud Black, who consistently performs as the company’s top sales earner and also oversees the Yachting Center in Hampton. Bluewater then purchased the neighboring 200+ slip Hampton Roads Marina, catering to a mix of power and sailboat clientele, and set out in rebuilding the entire complex. Meanwhile, Jarrett Bay was also thinking big, moving for a third and final time to an incredible 175 acre development along the ICW in Beaufort, North Carolina. After establishing a successful brokerage operation and a sprawling service yard, the Jarrett Bay Boatworks team focused on creating a separate sales organization to represent other new boat brands. Jarrett Bay Yacht Sales was spun off by partners Randy Ramsey and Dan Reitz and quickly expanded into multiple locations in North Carolina, South Carolina and Florida. 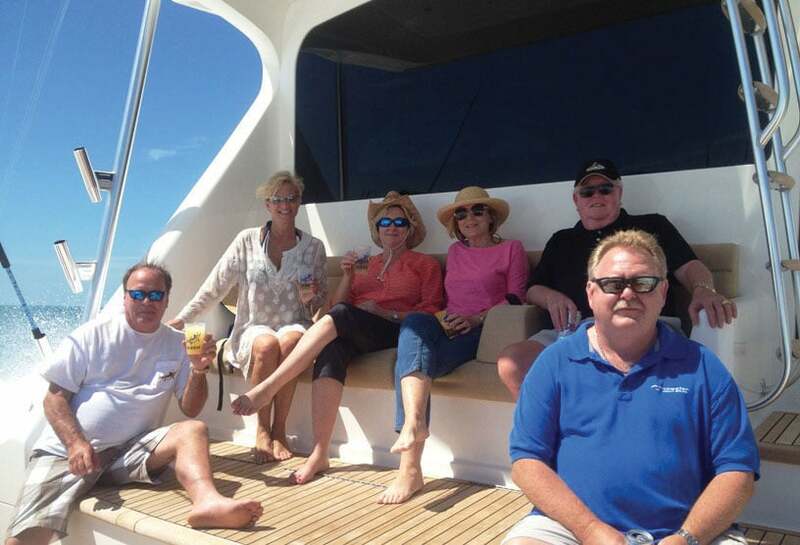 Years of intense growth and a booming yacht sales market led to industry sales veteran Jan Boone becoming the second President of Jarrett Bay Yacht Sales. Both Jarrett Bay and Bluewater continued to optimize their teams, brand offerings and sales territories throughout the ups and downs of the yachting marketplace. 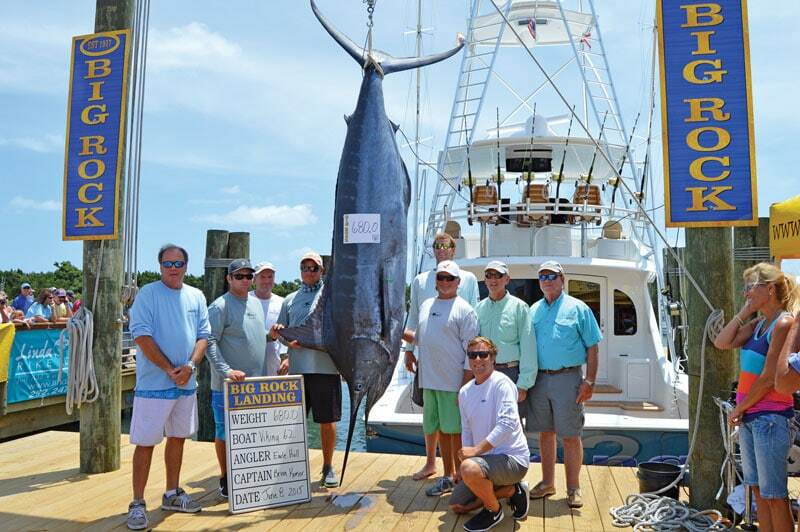 After years of friendship fostered during Hatteras Marlin Club tournament weeks and shared passions not only in boating, but also stock car racing, Bluewater’s Chris and Earle Hall and Jarrett Bay’s Randy Ramsey explored the idea of merging their respective sales operations. After much planning, Bluewater Yacht Sales’ new flag and brand identity first flew over the Annapolis Boat Show in October 2012, and instantly transformed the company into one of the largest and most experienced yacht sales operations in the United States. Nearly 50 years later, Bluewater is still owned and operated by its founding partners and is one of the largest privately held, and financially sound, yacht dealerships in the world. Bluewater has literally been built on a backbone of service and a commitment to always put the customer first. The founders and partners of Bluewater are not just businessmen, they are boaters, yachtsmen, cruisers and fishermen, just like you. Collectively, they are passionate about boats of all types – enjoying a lifestyle that involves salty air, wet lines and time spent with family and friends. They are a group of veteran yachtsmen who have weathered the test of time while nurturing the expertise and craftsmanship of their teams. Bluewater’s ownership is passionate about putting this dynamic mix of departments, services and personnel to work for you, to help realize your boating dreams – in a way no one else can.